How does electric ThermaSkirt save energy? - DiscreteHeat Co. Ltd.
How does ThermaSkirt-e save energy? 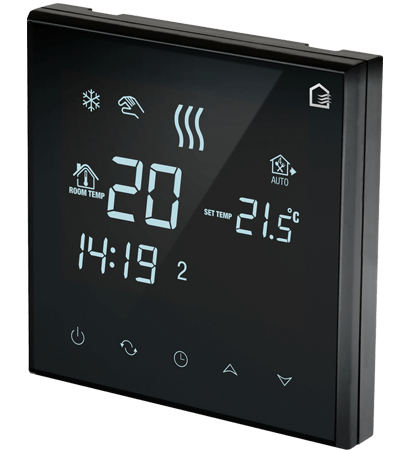 ThermaSkirt-e can save energy in various ways but the best way to maximise the efficiency and performance of your heating system is to programme it to suit your lifestyle. ThermaSkirt-e can be pre-programmed at different temperature settings to suit the time of day (six time zones can be set per day) so you only use it when required. As it all above ground (unlike electric underfloor heating), all the heat generated is instantly transferred into the room, often heating a room to a comfortable temperature within 10-20 minutes. ThermaSkirt-e is also unaffected by the type of floor construction and finish; working equally well with, laminate, wood, carpet and tiles. It’s for these reasons that you can expect the lowest operating costs of any direct electric heating system from using ThermaSkirt-e. 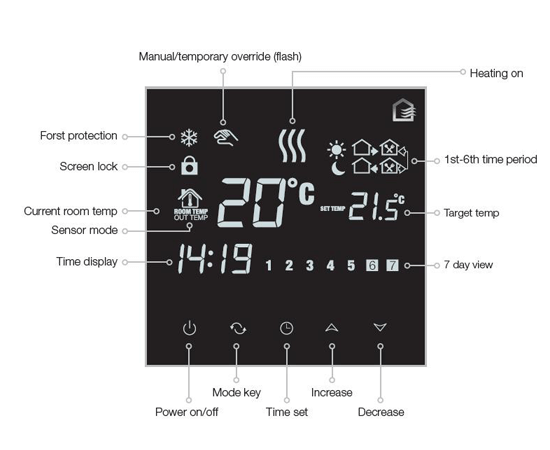 The TherMiser 3E touchscreen control has a built in air sensor which turns the heating on when the air temperature falls below the pre-set temperature. 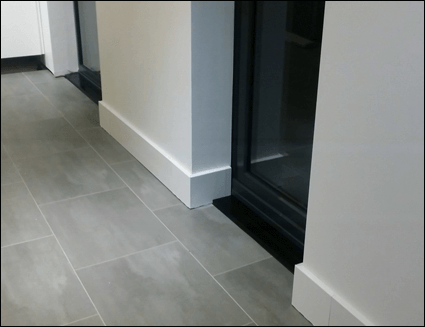 A probe which can limit the surface temperature of the skirting is also supplied with the thermostat for applications where low surface temperature heating is required (such as in hospitals, schools and care homes). How does ThermaSkirt-e compare to Panel/Electric Storage Heaters? How does ThermaSkirt-e compare to Electric Underfloor Heating?